1. I hate shutting car doors when I get out of a car. Like I have a serious phobia about it. To the extent that I will do anything possible to avoid touching the car door or handle - I usually push the door closed using the window. It all stems from when an old boyfriend did up an old bomb of a car (Mazda Familia) and it was never earthed properly so that every time I got out of it, I'd get the MEANEST electric shock - sometimes I even saw blue sparks fly - no crap! (turns out I'm a bit of a conductor!) It got to the stage that I was petrified of touching the metal door handle, and I have been ever since. And even though our car has plastic door handle now, I still can't bring myself to touch it. 2. 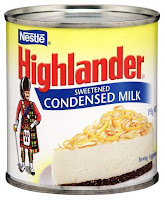 I have been known to eat sweetened condensed milk straight from the tin. And I often prefer nibbling on all my pre-cooked baking mixtures in the bowl more than I love the eating the cooked versions out of the oven. Sloppy jalopy goodness...mmmmmmmm. 3. I shuffle cards like a casino dealer - you know that whole half a pack in each hand and whoosh! like magic they get intertwined back together with a little flick of the thumbs - apparently it's called a riffle shuffle - and it never fails to impress! 4. I have a serious girl crush on Jennifer Garner. Loved all the Alias series and thought she was seriously hot in Daredevil and Elektra. I totally used to cyber stalk what she was up to on the trashy Just Jared celebrity site all.the.time. Weirdo I know. Watch out people you might be next....BA HA HA HA HA! 7. I would be happiest living in a 25-30 degree celsius climate ALL YEAR ROUND. Such a shame then that Welly very rarely even hits 25 on a good day in the middle of summer! But I don't live here for the weather let's face it! 8. I am REALLY useless at tying balloons. Blowing up I can do. Tying...nope. I usually have to give them to someone else to tie. I think the only reason I even thought of that is because I have plenty of balloons to blow up for an upcoming birthday party and I am dreading having to tie them all... hmmmm I wonder if flutter my eyelids coyly enough someone will take pity on me.....hint hint! 9. And here's an extra one completely free of charge. I count my biggest physical achievement as climbing Mount Taranaki (aka Egmont to old timers) in 2005. All 2,518 metres or 8,261 feet of it. There's nothing like the feeling you have when you have literally conquered a mountain and are standing victorious on the summit, on top of the world! So there you have it, a bunch of utter randomness for you all! But especially for you Stacey! Well you can see why they used to use electric shock aversion therapy - as a mother i find i still swoosh the car doors closed with my bottom anyway, with no babies in my arms anymore!! We are known (in the car park at school & garage at home, drives my husband nuts) as the family who never shuts the car doors though, you can live normally with us!! I like the insight into you... 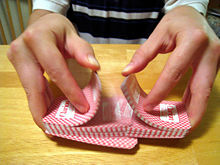 SNAP on the card shuffling! I'm a closet croupier too! 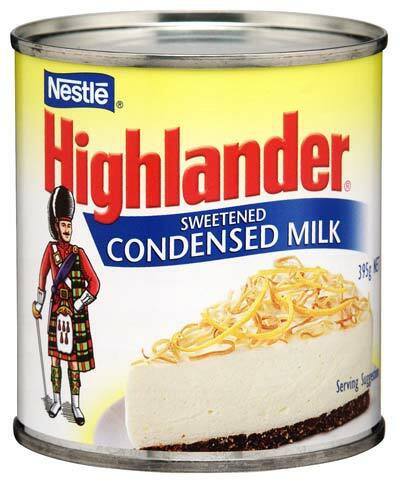 & mmm...sweetened condensed milk...! Totally with you on the car door thing (if I'm wearing long sleeves I pull them over my hand before closing the door) and the card shuffling. I LOVE these!! Condensed milk mmmmmmmmmmm..... I use them in chocolate chip cookies and the mixture is much better than the actual cookie! How HOT is Jennifer Garner! Yummy mummy alright...and her little one is gorgeous! And I haven't yet had problems with my wisdom teeth but thanks to you I'm now terrified!! !